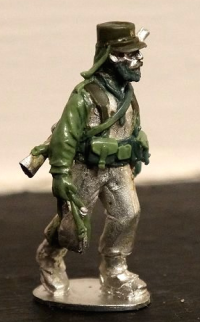 The next batch of figures for the Exotic Adventures range are being sculptured, this release will focus on mounted French Foreign Legionnaires. The mounted Legionaries were the elite of their time, providing a rapid response capability across hard, rugged environments. The average length of service was two years, and the force was composed of entirely volunteers. 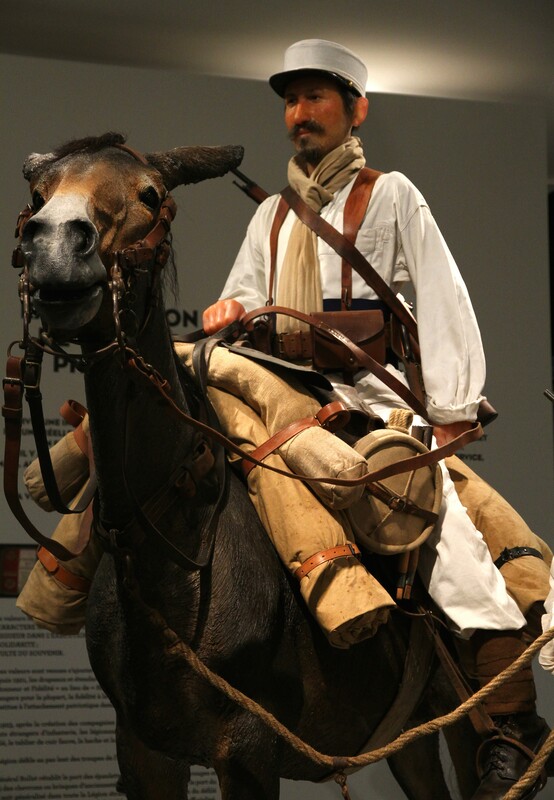 One mounted on a mule and the other on foot, they would fast march like this, changing position every hour ,allowing the mounted legionnaire a rest. This release will consist of two individual pairs of mounted Legionnaires, producing 4 unique figures. The figures are being sculpted by Bob of eBob Miniatures, the example here is of a mounted Legionnaire marching beside his mule.